Swara Bhaskar revealed as part of her Instagram stories that she is on a keto diet. Read here to know how she managed to eat a pizza on this low-carb, high fat and high protein diet. How to eat pizza on keto diet? While a pizza is essentially included in the category of "junk" and "unhealthy" food, it can be included in a keto diet if you eat only the layer of cheese from it. There are many kinds of cheese and all of them are low in carbs and high in fat. 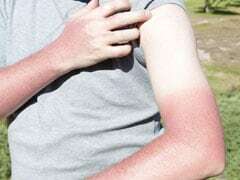 This is the reason why people can include cheese in keto diet, and even eat pizza while following it. 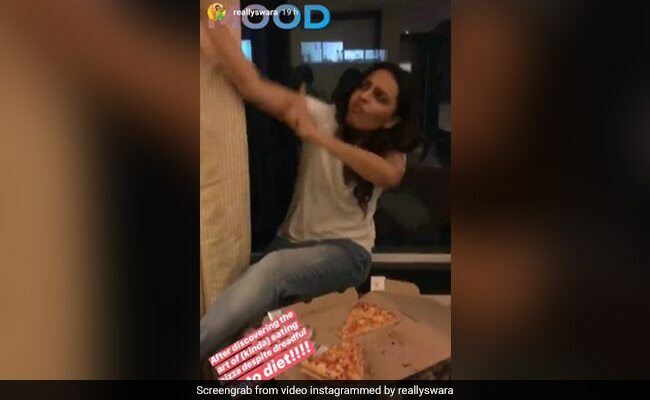 In her Instagram story, Swara Bhasker enjoys scraping off the cheese from the pizza, and eats it with full pleasure. Isn't it the best way to curb cravings on keto diet?! How to curb cravings on keto diet? Cravings on a keto diet are quite likely to happen. In fact, most restrictive diets which suggest cutting back on any one or two or more food groups are likely to cause cravings. Speaking of a keto diet, a person needs to drastically cut back on intake of carbs and replace it with fats. Reduction of carbs puts your body in a state of ketosis. In this stage, the body becomes extremely efficient in burning fat for energy. So, a keto diet can definitely be helpful for those who are looking forward to lose weight. However, whenever you are following a diet for weight loss, make sure that you are not compromising on your health. Try and create a balance wherein you don't end up having any nutritional deficiencies. In the meantime, Delhi-based diet coach Sapna Puri, who follows a cyclic keto diet, talks to doctorNDTV about effective ways to curb cravings on a keto diet. "Having green tea, black tea or black coffee can all help in curbing cravings on a keto diet. 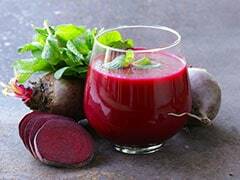 Resorting to liquids can be a healthy way to curb cravings and not interfere with your diet regime on a keto diet," she says. Diluted apple cider vinegar in water can be helpful, she adds. Also, people can have mild forms of dairy like some curd or half a cup of milk to curb cravings. Nuts like walnuts, almonds or salted peanuts can also help in curbing cravings on a keto diet.